Why Put Consultants In Competition? | Consulting Wiki ? As an executive, you’re probably used to making quick decisions. Given the amount of work that you have to do, you can’t afford to dither. This means that you may not always have the luxury of time to get a variety of perspectives before making each decision. When you’re hiring a consultant, however, it might be a good idea to take your time. When you are clear on your priorities and on the reasons why you need to hire a consultant, then you can start looking for the best fit for your specific project and your organization. The easiest solution is to look into your pool of existing providers, and choose pick from them. However, the best consultant for one project is not necessary the best for the next one. Besides, you may want to introduce some competition. Of course It’s necessary to find a consultant who has solid experience, creative problem-solving skills, and great interpersonal skills. But how are you going to know the extent to which someone has these skills unless you have someone else to compare them to? Let’s say you meet one consultant who impresses you with his impromptu pitch. You might be tempted to choose him, just so that you don’t have to meet with a number of different consultants, listen to their pitches, too, and read their proposals. After all, this will mean a lot of work for you. When you have a new project, you might wonder whether you should return to the consultants you’ve used in the past or start over again with a new set of proposals. However, if you do all this work, you may find that different consultants have different strengths. One might have great interpersonal skills, while another might have many more years of experience. One might be endlessly creative and great with design, while another might be a lot more blunt and honest about what’s really needed for your organization. A good way of identifying strength and weaknesses is also to check references on prior similar assignments. At this point, you’ll be better able to decide what’s more important to you. For some executives, experience might be most impressive, while others might value creativity above all else. For those who have a hard time making people understand exactly what they need, interpersonal skills might be paramount. When you put consultants in competition, you’re more likely to find one with the exact qualities you’re looking for. When executives outsource certain tasks, they might already have certain ideas about how those tasks should be done. But when you describe your functional needs and live room to creativity in the solutions proposed you get a variety of perspectives, you’re bound to come across some ideas you hadn’t thought of before. In fact, this is the reason why people emphasize diversity in the workplace, which you can read about in this article from Forbes. When people from different backgrounds work together, they all tend to be more creative and come up with new ideas. Let’s assume, for example, that you’re trying to change your company culture and make your business one of the best places to work for employees. One consultant might suggest that you offer employees small perks such as tickets to sports events. Another consultant might suggest that you change your interiors so that they are more conducive to productivity. A third might suggest that you dismantle the hierarchical structure of your organization. When you put consultants in competition, you’re likely to get more ideas which you had never thought of before. These might shed a new light on the tasks that you’re trying to outsource and how they should be done. Even if you don’t end up adopting all the ideas you come across, it can help you to at least take them into consideration. Many people in business believe that they should set their personal feelings aside and work purely from a logical, rational place. However, this is your business and it’s sure to reflect who you are as a person. So when you hire people to join your business, you want them to understand you and work with you towards a common goal. This will be most harmoniously done if their values align with yours. There are a number of consultants out there and it’s quite likely that they’re all good ones. However, this doesn’t mean that they’re going to be right for you. This article from Huffington Post emphasizes that, in order to have a good working relationship with a consultant, his advice has to feel right to you. And you need to feel like the consultant you’re working with gets you. You ought to feel like he’s treating you as a partner, and not just trying to impress you with everything he can do. You’ll get similar advice in this article from Inc. which praises consultants who don’t hesitate to say “I don’t know.” In this dog-eat-dog world, honesty is important. And if you can find a consultant who can tell it like it is, you’ve found a rare creature whom you should hold on to! Last but not least, there is a price advantage to put consultants in competition. If the consultants know that you will examine other offers, they will give their best efforts to design and price their proposal. Of course, you could always argue that you will take the best for the job regardless of the price, but we all know what pressure on expenses the executives have to live with, especially operating expenses. And therefore the better the cost for value trade off will be, the easier it will be to convince your boss or your board that this consultant is the right choice. 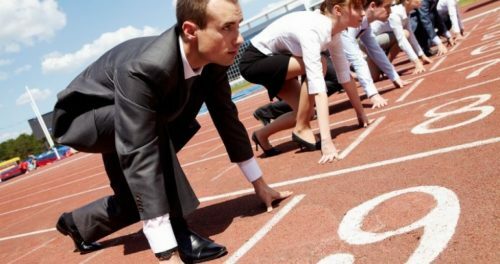 Organizing a healthy competition is not as complex as one could think. It’s a good idea to evaluate a number of consultants by putting them in competition. This will enable you to take an informed choice on what consultant is right for you on many levels such as skills, fit, and price. Along the way, you may even go for ideas that are completely out the the box you had yourself designed in your request for proposal. PreviousIs it better to work with familiar consultants?